Rollover IRAs have the same contribution requirements as regular IRAs. Rollover individual retirement accounts are just IRAs that you've rolled money into from another qualified retirement plan. A rollover IRA is often a traditional IRA because it offers the same tax-deferred benefits as 401(k)s and 403(b)s. However, you can also roll money directly into a Roth IRA, but you'll owe taxes on the rollover because your distributions come out tax-free. Whether or not you can add more money to a rollover IRA depends on whether you're eligible to make contributions to that account type. To contribute to either a traditional rollover IRA or a Roth rollover IRA, you must have compensation during the year. Compensation includes both employee income and self-employment income, as well as alimony received. If your only income is from investment income, such as interest, dividends and capital gains, you aren't eligible to contribute to your rollover IRA. Traditional rollover IRAs can only continue to accept contributions until the year in which you celebrate your 70 1/2 birthday. After that, you can't contribute any more. In addition, the same deduction limits on traditional IRA contributions also apply to traditional rollover IRAs. If you or your spouse participates in an employer-sponsored plan and your income exceeds the filing status-specific income limits, you can still contribute, but you can't deduct your contribution. Roth rollover IRAs can only accept contributions if your modified adjusted gross income is lower than the annual limits. The income limits are higher if you're married filing jointly than if you're single. However, they change each year, so you have to check the updated limits in IRS Publication 590. For example, in 2012 if you're single, you can't contribute anything to a Roth IRA if your modified adjusted gross income exceeds $125,000. If you're married filing jointly, the maximum income is $183,000. The same limits that apply to IRAs generally apply to contributions to rollover IRAs. Your contributions can't exceed the annual contribution limit, set by the IRS, or your compensation for the year, whichever is smaller. And, the limit applies across all of your IRAs. For 2012, the maximum contribution is $5,000 ($6,000 if you're 50 or older). 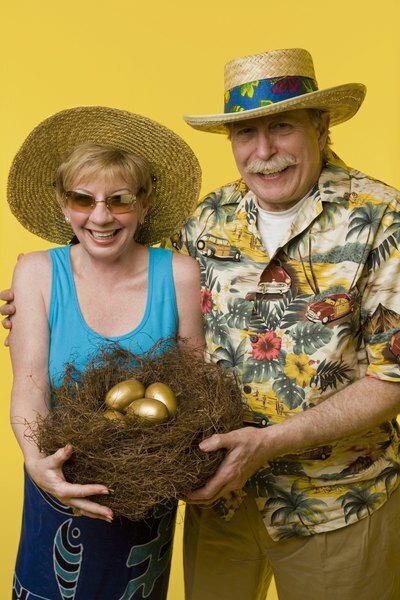 So, if you're over 50 and put $4,000 in a Roth IRA, you can only put $2,000 in a traditional IRA. If you've already maxed out your contributions, you can't contribute extra to your rollover IRA. Can an Active Participant Over Age 70 1/2 Make Simple IRA Contributions?